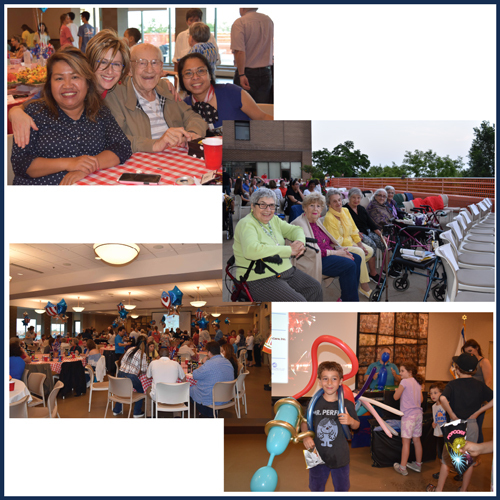 The annual July 3rd Fireworks Fest brought entertainment, delicious food, and fun to the Rubenstein Pavilion as residents, community members, and guests celebrated Independence Day. Musical entertainment was provided by Joseph Deveraux, and balloon twister and family show performer Peter Lindsay brought fun and laughter to the crowd. The proceeds from the event benefitted the Monya’s Garden Fund through the Jewish Home and Care Center Foundation. In September 1996, the three daughters of Monya Tolkan, a resident of the Helen Bader Center, established an endowment in Monya’s memory. The endowed gift brought a new array of colorful beauty to the outdoor terrace of the Bader Center. Donations through the July 3rd Fireworks event helps maintain this lovely haven for our residents and guests. 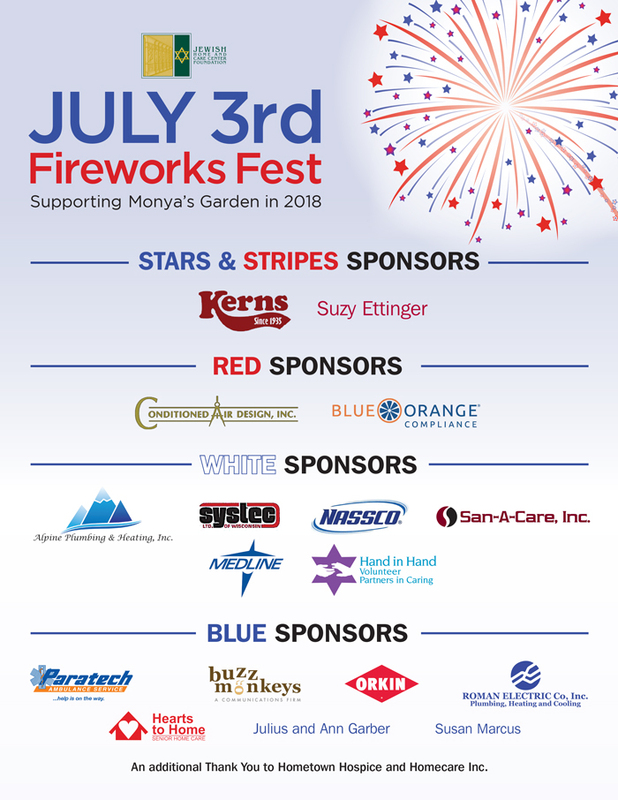 Thank you to our sponsors and all who celebrated with us this year!